What is Preferred Health Insurance? 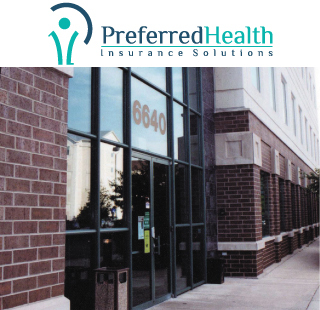 Preferred Health Insurance Solutions is a national enrollment firm specializing in Affordable Care Act (ACA) enrollment options. We work with consumers to determine their subsidy eligibility, review benefits and plans that will meet their healthcare needs and get them enrolled for coverage. Our Call Center is staffed with multi-lingual and licensed health insurance agents who also are certified on the exchange. What if I don’t apply for health insurance? Starting for year 2019 Enrollments, there is no longer a penalty for not having a Qualified Health Plan. Our fully licensed and certified agents will be able to provide you with all available health insurance options. COBRA is a federal law that may let you pay to keep you and your family on your employee health insurance for a limited time (usually 18 months) after your employment ends or you otherwise lose coverage. 'COBRA' stands for Consolidated Omnibus Budget Reconciliation Act. A Special Enrollment Period (SEP) is a time outside of the Open Enrollment Period (OEP) during which you and your family have a right to sign up for health insurance coverage. In the Marketplace, you generally qualify for a SEP of 60 days following certain life events such as loss of job-based health insurance coverage due to loss of employment. How will I know what my income will be for next year? In all our readings and on the HHS (Health and Human Services) website it suggested that a consumer should use 2018 Income tax line 37 for enrollment in the Affordable health care act. Household income estimate, ages of household residents, the number of people residing in your home, and your zip code will determine your eligibility and amount of subsidy. In 2018, will an employee's nonworking spouse be eligible for premium credits or subsidies on the Exchange if (1) the employee's employer does not offer medical coverage to employee's spouse or (2) the employer offers medical coverage to the employee spouse's but does not pay for any portion of the premium for such spouse's coverage? Under Treasury Regulations Section 1.36B-2(c)(3)(v)(A)(2), an eligible employer-sponsored plan will be affordable for related individuals (family members) if the cost of self-only coverage does not exceed 9.5% of the employee's household income. In other words, for purposes of determining whether family members are eligible for premium tax credits, the cost of family coverage is not taken into account-all that matters is whether the cost of self-only coverage is affordable to the employee. Therefore, if an employer offers coverage to the employee's spouse, but does not pay for any part of his or her premium, he or she will not be eligible for credits and subsidies if the coverage offered to the employee is affordable. If an employer does not offer coverage to the employee's spouse, he or she would be eligible for credits and subsidies depending on the family's household income. What do I do when my company cancels my insurance? Don’t worry or panic. 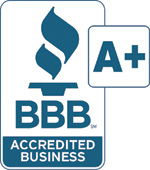 The best thing to do is contact us at (800) 342-0631 and describe your situation. We are well informed with changes in Insurance, the marketplaces, the carriers, the government, CMS etc and know what's going on. We'll help you sort through the issues and get you on a new policy with a top regional or national carrier. I need replacement health insurance coverage. You can visit us at PHISOnline.com or call us at (800) 342-0631 to talk to a certified, licensed and experienced insurance professional. We have relationships with top regional and national carriers and can help you get the coverage you need. Can I get health insurance now if my policy is cancelled? Yes, if you qualify for one of the Qualifying Events. Go to our Special Enrollment page to learn more about the qualifying events. Or give us a call at (800) 342-0631 and we can help you understand your options given your situation. What carriers are participating in the Affordable Care Act? Well that varies widely by state and carrier. We work with all of the top regional and national carriers to help you find the health insurance coverage you want and need. We can help you investigate, shop and buy quality health insurance coverage from the top regional and national carriers. Give us a call today at (800) 342-0631 and talk to one of our licensed, certified and skilled insurance professionals help you shop and buy health insurance coverage today. The Open Enrollment Period (OEP) is a designated period of time in which anyone can shop for and buy insurance on the exchanges. For policies effective 1/1/2019 the open enrollment period starts 11/1/2018 and ends 12/15/2018. After that we enter into what is called the Special Enrollment Period (SEP). You must qualify for a special event to get insurance coverage on the exchanges.